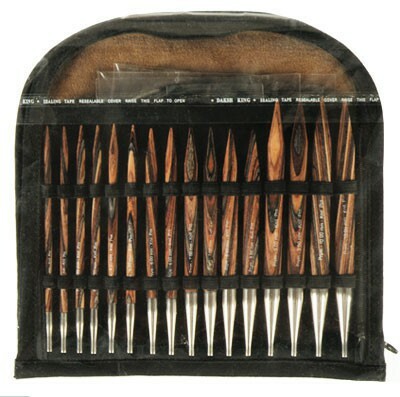 Lovely circular knitting needle set made in wood contains 8 sizes from 6-15 (4-10 mm). The needles are made of birch and are extremely comfortable to hold. The circular needles are blank-polished so the stitches easily slide on the needles which makes it a true pleasure to work with.